Hospedaje Familiar Cusco i Cusco, Peru: Reservér nu! 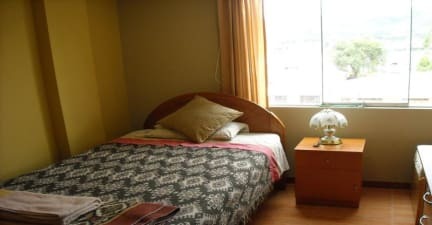 Hospedaje Familiar Cusco is a friendly property located in Cusco. 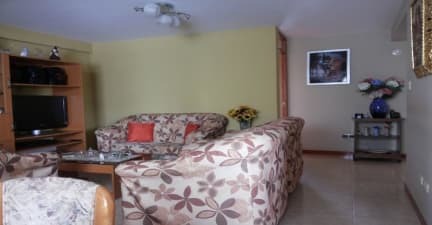 The property is located in a safe area of the city, comfortable, quiet, it has an elevator, wheelchair access, security personnel Wi-Fi and cable TV. Free breakfast is served daily. At Hospedaje Familiar Cusco Peru guests will find a shared lounge and a tour desk. Hosepedaje familiar Cusco is located 1.1 miles from Wanchaq Train Station. The property is located in a quiet and safe area in Cusco. Perfect for a pleasant stay. Hosepedaje familiar Cusco offers large and comfortable private rooms. The double room is very spacious and bright. Guests will appreciate the stunning views over the mountains. The simple room is spacious and comfortable. Check-in time starts at 7 am.